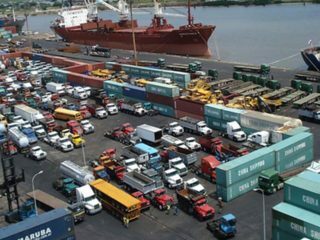 The Federal High Court in Lagos yesterday ruled that Nigeria LNG Limited was correct in its strong stance in 2013 against the demand for illegal levies by the Nigerian Maritime Administration and Security Agency (NIMASA) which illegally blocked the company’s export from Bonny for 22-days. This is a significant landmark victory; a victory for Nigeria; a victory for the rule of law; a victory for civilized conduct in national affairs and a rejection of arbitrariness and illegality. Never again in the history of Nigeria should anyone or company have to be subjected to brute force by militants and their representatives acting on behalf of and supported by a supposedly democratic government. Such has no place in civilized societies. Unfortunately, the victory will not restore NLNG’s $475 million loss arising from NIMASA’s blockade of its ships in 2013. Sixty five percent ($308.75 million) of this sum would have gone into the Federal Government’s purse in dividend and taxes. It will not restore the several hundreds of millions of dollars lost by the upstream gas suppliers and international customers. It will not repair Nigeria’s global image as a country struggling with the rule of law. It will not heal the psychological wounds inflicted on staff and management of NLNG by state actors acting in utter breach of the law for personal gains. It was a self-inflicted wound by a government agency acting against national interest. Many dramatic things happened in the course of our struggle during that dark period in 2013; a number of them provided amusement, especially the behaviours of state actors and their inability to place national interest above other considerations. The lack of candor, indiscipline, conspiracy and greed was beyond belief. No one or company should be put in such distress by a government agency. The blockade was the toughest and lowest period of my five-year tenure at the helm of Nigeria LNG Limited. 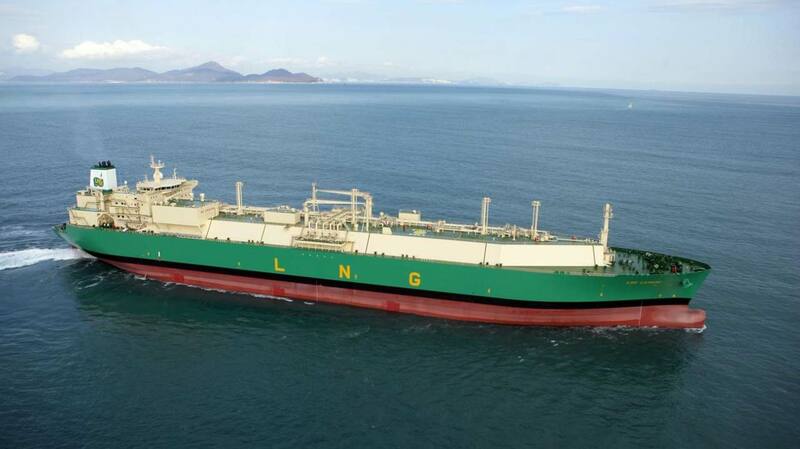 It was indeed a very lonely and stressful period for Nigeria LNG Limited. 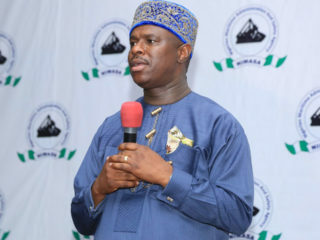 State actors acting in concert with NIMASA adopted a cloak-and-dagger approach to mask their complicity in a bid to hinder transparency and avoid scrutiny, a dangerous plot that was unfortunately hailed by many public commentators. I had no doubt, whatsoever, regarding our decision to not compromise and succumb to illegality; I could not accept to subject the company to the risk of bribery allegations by paying illegal levies contrary to our business principles, especially with the history of the Halliburton/TSKJ corruption scandal linked to NLNG. But despite the brute force and strong arm tactics by the militants and government officials, I was confident that a day such as this will come – a day of reckoning. The state actors sullied the image of an independent judiciary by flagrantly disobeying court orders. Judicial independence and supremacy guarantee that the rule of law will not be eroded by the political pressures in existence at any particular point in time. By setting up a kangaroo mediation committee the former Justice Minister and former National Security Adviser mocked the principle of judicial supremacy by seeking to remove the ultimate interpretation of the law from the courts, ensuring that basic legal protections fell victim to the passions of the moment. The mediation was simply a farce, a disgrace and a disservice to the nation. The rule of law provides protections against arbitrary or discriminatory government action. It provides that the rules must be reasonably predictable and without regard for the identity of the parties. The Rule of Law should be paramount to operate a business and where there are differences in interpretation of laws, then the courts is where the definitive interpretation should be determined and not for individuals or government agencies to take laws into their hands and use brute force to hold a company to ransom. Nigerians will benefit from the judge’s courage and NLNG’s dogged insistence in doing the right thing and in seeking justice despite the four years it took to resolve the issue in courts. The outcome of this case should spur Nigerians to always insist on the rule of law, no matter the short term inconveniences, as it plays a crucial role in ensuring that political rights and civil liberties are safe and that the equality and dignity of all citizens are not at risk. I extend my kudos to the hardworking and erudite Judge, Mohammed Idris, for his doggedness despite provocations and deliberate attempts by NIMASA and their agents to frustrate the case using technicalities to appeal every action up to the Supreme Court on numerous times. I thank the NLNG Shareholders and Board for standing solidly by us during the difficult period, and also to my management team colleagues at the time and staff for their support and hard work. I also thank the previous Ambassadors of the United States, Britain, Holland, and France who tried severally to get the former President to redress the arbitrariness without success. My gratitude also goes to legislators, lawyers and journalists who stood by the Company during the dark period. I and several other people have always believed that Nigeria should be encouraged to be a better country. Our aim in embarking on this case was to help chart a new course for our country; to say to our nation and its leaders, here’s the way to go, regardless of threats, coercion and intimidation. To accept that in the administration of law the government agents may commit crimes in order to secure personal gains would put our country’s future in jeopardy and bring terrible retribution from international community. If the government becomes a lawbreaker, it breeds contempt for law; it invites every man or woman to become a law unto themselves; it invites anarchy. Our country definitely deserves better and today’s judgement brings light after the darkness! Omotowa is immediate past MD/CEO Nigeria LNG Limited.